The Tokyo Ski Mountaineering Club (TSMC) was established in January 1973. It is a private alpine club that sets an emphasis on backcountry skiing (ski tours etc.). The activities range from mountaineering, alpine climbing, indoor climbing, hiking, and “sawanobori” (the Japanese style of mountaineering to ascend along rivers to the peak). TSMC’s unique character is, however, that all members are enthusiastic for backcountry skiing (alpine skiing as well as telemarking). TSMC consists of independent responsible members and our activities are based on private plans of each member. We basically do not have any compulsory program in our activities. We believe that enjoying mountaineering is based on a respect for each member’s freedom and different kinds of enthusiasm. However, to ensure safety, all members of TSMC are required to be independent and responsible mountaineers. So, we strongly advise the members who need further training to join our training programs that take place every season. We enjoy backcountry skiing from powder runs to long-distance tours, winter ascents of 3,000m giants, traverses of the Japanese Alps, rock climbing in high mountains, “sawanobori” of deep valleys in the Tohoku region, etc. Some members are experts in sports climbing and there are even trail runners in our club! We are proud of this variety of activities, nevertheless, the clear common axis among us is backcountry skiing! We believe backcountry skiing is a high level combination of all kinds of mountain activities. TSMC has around sixty members that mainly live in the city of Tokyo and its suburban areas. The members' age ranges from the mid-twenties up to the seventies. We also have some European members (a Belgian at present. 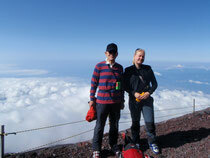 Some French and German in last some years), that enjoy mountaineering in Japan. Regular meetings: twice a month (usually on the 2nd and 4th Wednesday of the month), in Akihabara from 19:30 to 21:00. Please feel free to contact our webmaster if you have any questions about TSMC or if you wish to have any further information. Thank you! PS Please note that as we need to communicate well in our activities outdoors, minimum conversation skills in Japanese are highly appreciated.